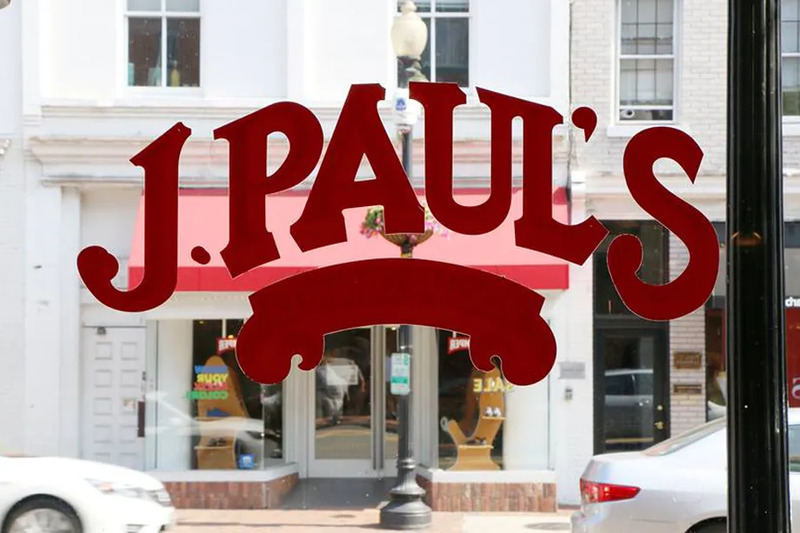 J. Paul’s will close its doors before the year’s end. Marking the most recent sign that Georgetown’s restaurant scene is entering a new stage. The saloon debuted at 3218 M Street NW in 1983, kicking off a mini restaurant empire in Georgetown for Capital Restaurant Concepts. The group owned Paolo’s, which just flipped into High Street Cafe, and Old Glory, which reinvented itself as America Eats Tavern this summer. “There is a lifespan to independent restaurant groups — they are graciously retiring after a long successful career. It’s a changing-of-the-guard moment,” Georgetown restaurant broker Bill Miller, principal at Miller Walker, tells Eater. He adds that, with J. Paul’s, Capital Restaurant Concepts can be credited with changing the “strictly bar culture” of Georgetown into more of a “cafe culture” and “a more polished bar and grill” scene. The wood-lined restaurant features 5,000 square feet across two levels, and Miller says the space is currently entertaining potential restaurants to take its place. Eater reached out to the building’s owner Richard Levy, a prolific Georgetown landlord, but did not immediately hear back. “While I’m sad to see eras end, Georgetown is due for another chapter,” Miller says. A manager at J. Paul’s declined to discuss the closure but says it’ll stay open until at least past the end of the month. Game-Changing Indian Restaurant Punjab Grill Debuts in the U.S.